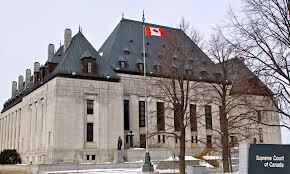 Contrary to what many Canadians think, the Supreme Court of Canada, in its landmark 1988 Morgentaler decision striking down Canada’s abortion law, did not recognize a constitutional right to abortion. Nor did the Court “settle” the abortion issue as is often claimed. Rather, the Court left it to Parliament to come up with a new abortion law that would balance the rights of women with the state’s interest in the protection of the fetus, without offending the Charter. Although 26 years have passed since this landmark decision, there is still much confusion and misunderstanding amongst Canadians (including politicians, media, and even the legal and medical professions) as to what Canada’s highest court actually said about abortion, women’s rights, and fetal interests when it struck down Canada’s abortion law. This is understandable, as it was a very complex decision. Three different sets of reasons for judgment formed the majority opinion. There was also a dissenting opinion. The purpose of this website is to shed light on what Canada’s Supreme Court did decide and what it did not decide when it declared the abortion provisions in Canada’s Criminal Code unconstitutional in R v Morgentaler .